Push bikes they may be, but we don’t ever want to push them as much as we did last week. We left Auckland harbour for Coromandel, via Waiheke Island, a mix of Tuscan style vineyards and sleepy Auckland commuter homes. Again not wanting to miss anything, we planned to ride North, around the peninsular. 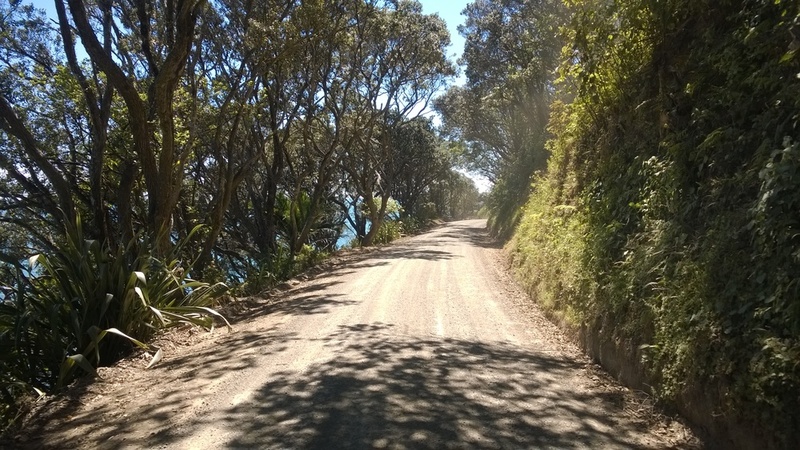 An hour or so in, the road turns into a spectacular gravel track, hugging the coastline and shrouded by hulking Pohutukawa trees. Fletcher Bay marked the 'end of the road’, with only 8km separating it from the start of the road on the other side, rumoured to be connected by a mountain bike trail. After 2km of very little riding, a sign confirmed what we’d been thinking: 'this trail is not suitable for bikes with panniers'. 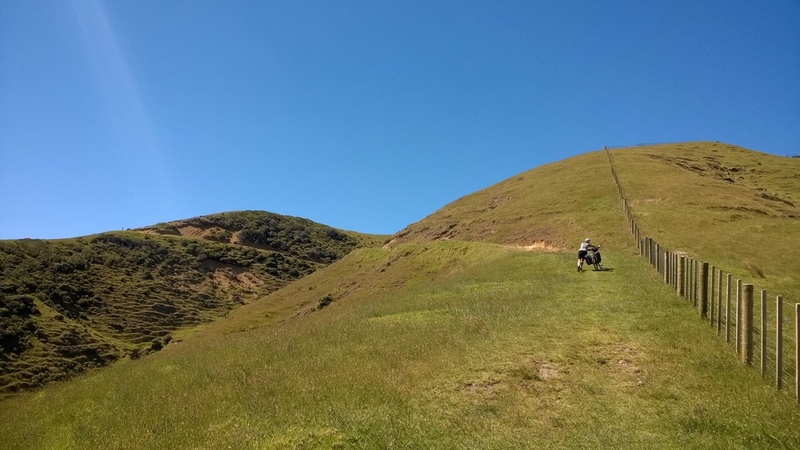 At the time, retracing the 100km back to Coromandel town didn’t seem like an option, though in hindsight it may have been easier. We were soon reduced to shuttle running (limping) the panniers 50m up and coming back down to fetch the bikes. So, in effect, we climbed the thing twice, feeling foolish that we were cursing the terrain that was the best we’d seen so far. Those hellish 8km battered the bikes, the luggage and our bodies. We saw only two others, in full hiking gear, and promised ourselves all manner of luxuries if and when we made it back to civilisation. The gravel road did begin on the other side, but for the first time we were anxious about being low on food. There were a few tears as the track was only just ridable, getting steeper, looser and inexplicably muddy, despite the dry heat. We managed to buy six eggs and knock up one of the odder meals we’ve had (eggs stirred into a pan of noodles and cuppa soup) at another fantastically remote campsite - 25km covered in an nine hour day. 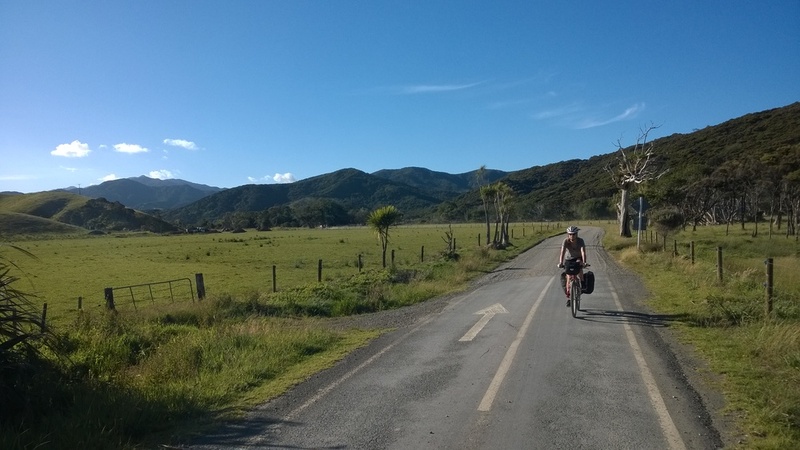 After climbing back over the huge Coromandel range we arrived where we had started three days earlier, pleased to have covered the route we intended, but questioning whether it was worth it. We immediately bought ice-cream, fruit juice and pastries. We’re having a rest in Pauanui, after a blissfully smooth day of mostly tarmac, via Hot Water Beach. We call them 'rest days', which makes the touring sound like a chore, which obviously it isn’t, but it can be exhausting. So days off the bike are certainly more relaxing and usually involve a lot of eating! Time to update what photos haven’t vanished from the SD card; my record of losing cameras/data continues (I’m saying it was from all the vibrations) and work out where the last week had gone.